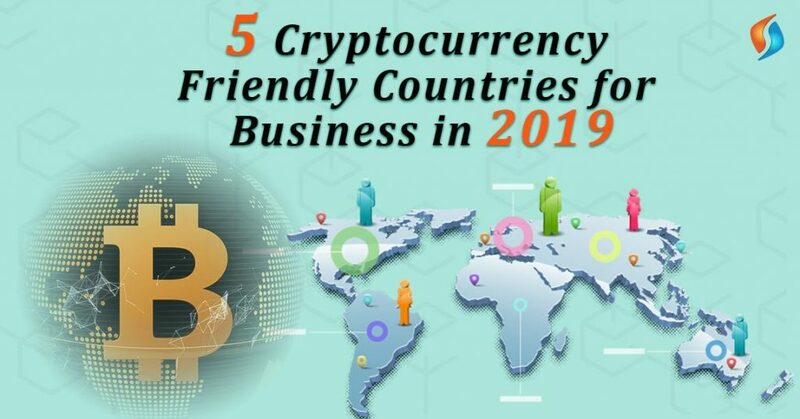 Today, certain countries are leading the charge when it comes to business growth and infrastructural support in the cryptocurrency domain. Many developers, ecosystem engineers, and investors are moving their base to these countries to start working on new projects. The cryptocurrency wallet development company is developing a smaller version of Silicon Valley to compete with traditional currencies in a disruptive way. Companies also want to hire blockchain developer community members that are interconnected and supported. While each of these countries is favorable zones to develop cryptocurrencies. However, in addition, they have specific nuances that need to be reviewed. Some countries offer low taxes, better infrastructure and are more aware of Blockchain technologies. Businesses can hire a top cryptocurrency wallet development company from these countries and get quality results. The framework in all these countries is such that the eco-system easily gets all the support. 2019 is a positive year for crypto as well as for Blockchain, and much of the action will take place in these nations. Japan is one of the few countries that has taken charge in the crypto space. There are many blockchain consulting firms that are based here, and it leads the market in transparency & technology. There is also a high degree of regulation in the market, with banks supporting some aspects of crypto-movements occurring there. Japan’s Financial Services Agency (FSA) has made it a point to ensure more stability in crypto-markets and increased transparency in operations. The Payment Services Act is a legal framework according to which it is mandatory to register for crypto exchanges. The agency has also imposed stricter regulation and requirements on crypto markets as well. There is also the Japanese Virtual Currency Exchange Association (JVCEA) which aids in forming better control and authorization in the crypto domain. Cybersecurity is of crucial concern in Japan, and that has relieved tensions in the country. Japan is a great country if you’re a crypto-developer or have operations in the crypto-space. It has a thriving ecosystem and has contributed to much of the innovation we’ve seen in the Blockchain domain. Much of the smart contracts development occurs here, owing to the strength in capabilities and technology available. The country was one of the first few countries that authorized trading of Bitcoin exchanges three years ago. Many of the major Bitcoin exchanges are there in Sweden, as the country has a more robust crypto ecosystem. Many analysts consider Swedish ETNs to be bigger than US ETFs. Also, the burgeoning crypto space in Sweden provides significant support as well. An added factor behind Sweden’s early adoption is the country’s reliance on digital currency. Few people use currency notes these days, with many opting for digital transactions. This made the transition towards crypto markets easier. The Riksbank has also helped Sweden become a rapidly cashless society. The government has also supported cryptocurrencies in Sweden, with many developers working on blockchain smart contracts development for financial services domains. Switzerland is one of the few countries that is actively trying to regain lost ground in the crypto-space. While other countries may be leading the charge today, Switzerland, on the other hand, is preparing for better business in 2019. Also, all cryptocurrencies and exchanges are perfectly legal here, with the government having a positive outlook for the performance of the domain. The Swiss Federal Tax Administration (SFTA) considers cryptocurrencies to be assets. The licensing structure is relatively transparent, with the registration process under the Swiss Financial Market Supervisory Authority (FINMA). It publishes clear guidelines along with best practices for cryptocurrency wallet development company. Economics Minister Johann Schneider-Ammann wants to turn Switzerland as a crypto-nation by next year and hopes that positive results will be coming in from blockchain consulting firms as well. Switzerland is home to hundreds of crypto-startups, raising millions of dollars to create innovation in the space. Germany has emerged as a strong nation that is built on crypto regulation. The German Federal Financial Supervisory Authority (BaFin) has also created rules around the use and exchange of cryptocurrencies in a bid to introduce transparency and security. A BaFin license is essential for companies dealing with cryptocurrencies commercially. There are no restrictions in dealing with crypto-markets (importing or exporting), which is why the country is emerging as a strong contender. “We don’t want to stifle innovation, but at the same time we have to defend ourselves against risks.” – Felix Hufeld, head of German financial regulator BaFin. Many developers and traders consider Berlin to be at the center of crypto markets in the EU. It’s one of the top cities in the world that has a developed market as well as a thriving ecosystem. Both EOS and IOTA are there in Berlin and have pushed the cryptocurrency market to greater heights. Also, from a business stand-point, Berlin makes perfect sense for 2019. South Korea regularly ranks among the top 5 countries regarding trade volumes. The country has a broad investor community when compared to its overall size. In like manner, there is also thriving financial services and trade market in South Korea, which adds to the business-friendly nature of the country. “The government cannot dismiss ICO. It needs to allow companies to conduct ICO. ICO has become a new trend in the global market, and it is the responsibility and ability of the government to embrace new technologies. We can see the change in the flow of investment compared to ICO and angel fundraising. The ICO has raised $1.7 billion for Telegram and $4 billion for Block.One, It is getting bigger and bigger” – Min Byung-Doo, chairman of Korea’s National Policy Committee. The country is taking positive steps to ensure that ease of business is taken into consideration when thinking about crypto-markets. As per cryptocurrency predictions for 2019, this year will be a growing year for the nation, as more investors enter key South Korean cryptocurrency markets. Even from a technological perspective, South Korea ranks higher. Therefore, everyone takes it as a decisive player in the global scenario. Join the best cryptocurrency wallet development company in India today! If you are planning to invest in cryptocurrency wallet development, now it is time to start. Send us your requirements, and our expert Blockchain developers will get back to you with a game plan. We at Signity Solutions have years of experience in providing blockchain consulting services. Our workforce is comprised of world-class blockchain developers. Therefore, if you also wish to make your transactions secure, hire our outsourcing team of best blockchain developers in India. Feel free to reach us, and we will revert at the earliest.